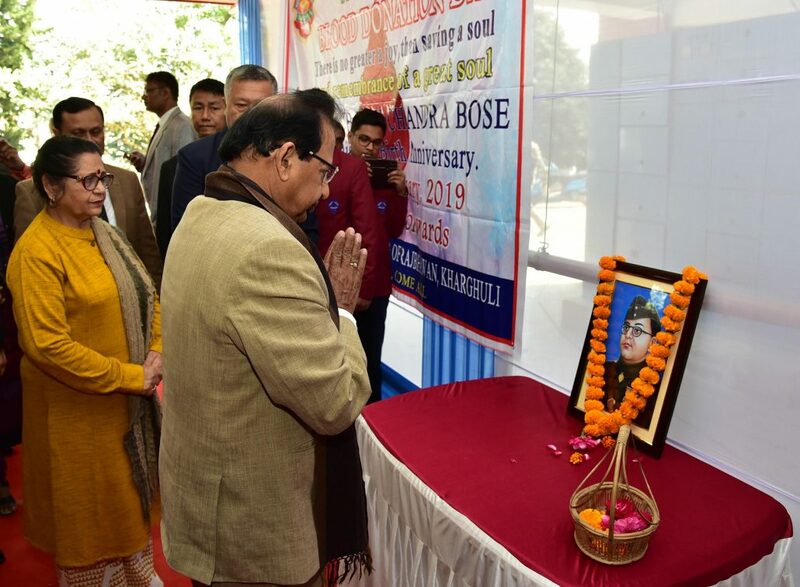 Assam Governor Prof Jagdish Mukhi led the state in paying fitting tributes to Netaji by organizing a voluntary blood donation camp where altogether 94 people from the age group of 18 to 30 years donated blood on the occasion. 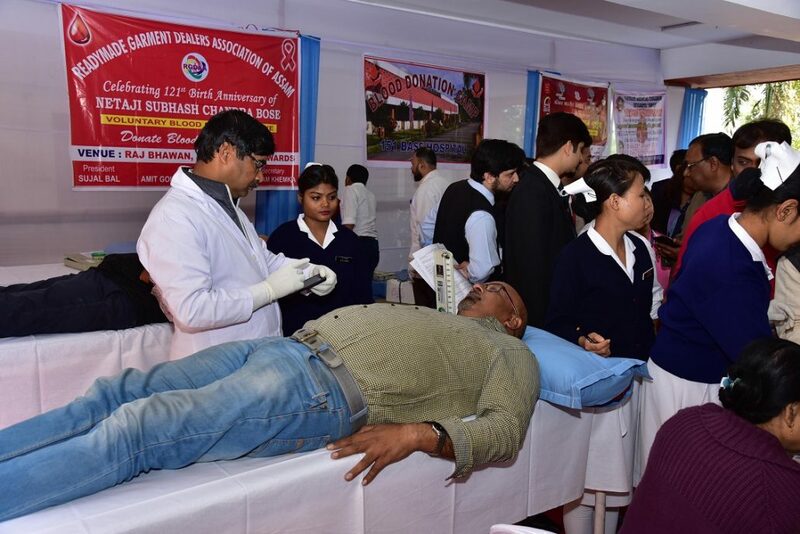 The Governor also appealed to all to come forward and donate blood for it is the greatest sacrifice one can make to give life to someone who really needs it. It is a noble gesture which enhances the sense of pride in a person and develops the altruistic attitude among the mankind. “Referring to the horde of jawans along the border, Prof Mukhi said that the soldiers are shedding their bloods for the cause of the country and we should at least donate some units of blood and save lives,” the Governor added. The blood donation camp witnessed active participation from Guwahati Medical College, Dental College, various socio-cultural and voluntary organizations like Imminent educational institutions, Cotton University, Handique Girls’ College, Marwari Yuva Manch, Terapanth Yuva Manch, NGOs and other charitable organizations and paramilitary personnel. Officers and staffs of Raj Bhavan also participated in the camp. The First Lady of Assam, Prem Mukhi, project director of Assam State AIDS Control Society (ASACS), Anurag Goel, secretary to the Governor Sanjib Kumar Gohain Barua, associate professor of Pathology, GMCH Dr Prasanta Kr Baruah along with other dignitaries were present on the occasion.